Introducing Studio 8 - The Kelly Dress - Sugar, Darling? One of my absolute favourite things is when a brand you've always loved from afar as their sizing stops below yours brings out a plus size range! 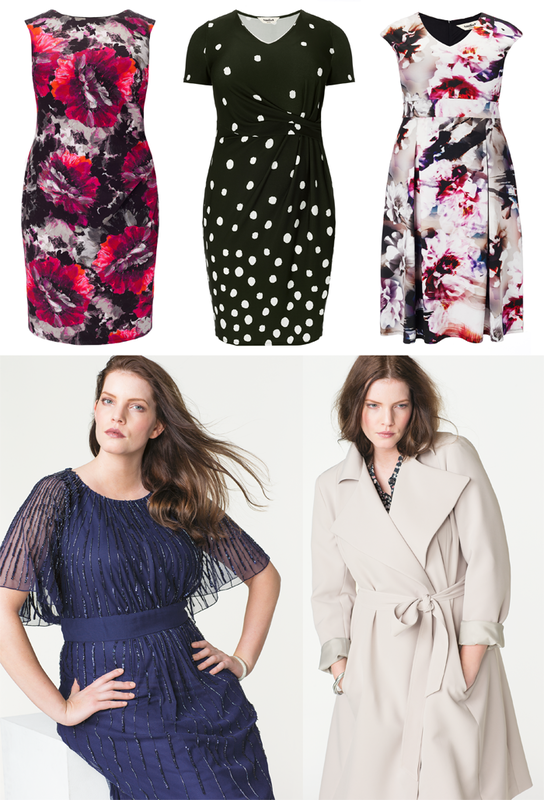 Phase Eight is one of those brands, I've picked out their dresses so many times over the years because I loved the style but then had to sadly put it back, but thankfully their new plus size sister brand Studio 8 is available I can shop to my heart's content! Studio 8 brings us the signature chic formal wear and elegant occasion wear of Phase Eight but in sizes 16 to 24. I personally am thrilled about this not only because I love an awful lot of the pieces but also because a lot of them fit a gap in the plus size market that only a few other brands offer, that of premium dresses and separates that are perfect for work. Don't get me wrong the beautiful occasion wear is right up my street too, but work wear is something I feel we get a bit of a raw deal on usually having to make do with the old trousers and long tops or trying to make casual dresses more work appropriate with blazers and soft jackets (my usual trick). I'm thrilled that I can now buy beautiful, stylish, extremely well made and luxurious feeling pieces to add to my work wardrobe because I really believe in the importance of first impressions and your appearance makes up a big part of that whether we like it or not! The piece I'm wearing here is The Kelly Check Dress (£99.00*). It's a beautiful design, fully lined and with a wonderful cut that features a trapeze hem - something I usually avoid like the plague but it works just perfectly on this dress. The print is a lovely blue and pink modern rough check on a black background which makes it wonderfully versatile as you can team it with blues or pinks to bring out the stripes, pick contrasting colours for more interest or just go for timeless and simple and throw on black accessories as I've done here. The cut of this dress really is a delight, like I always say things that are designed perfectly don't always look great on the hanger but as soon as you've slipped them on they just hang perfectly from your frame and look breathtaking with no effort from you at all! It also helps that the fabrics used in this style are just dreamy, the lining is so soft and has some stretch whereas the top layer is semi sheer and so relatively thing meaning it drapes and moves so elegantly. More major points were scored as it came with a belt that was sized correctly - it happens so often, you buy a lovely new frock in your size and the belt it comes with would only fit a fly, so frustrating! Not the case here thought, in fact I could have done with another hole to get it as fitted as I like. Here are a few other Studio 8 pieces that I love to bits!